One of the iconic photo-moments in any wedding is the bride walking down the aisle. Unfortunately, it is really easy to make choices and mistakes that will make that short walk difficult to carry off elegantly. Step 1: Buy a fabulous pair of shoes - but not just any new shoes, choose shoes with heels way higher that you normally wear, maybe with unfamiliar platforms as well, or go the whole hog and buy high-heeled backless mules. Keep them in the box to be admired and photographed. Don't break them in. Don't practice walking in them. Don't score or rough up the soles. 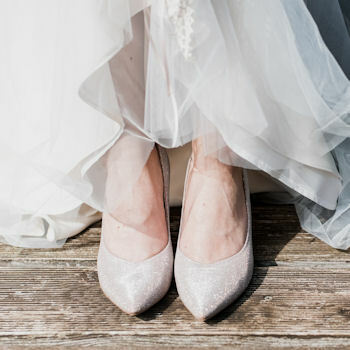 When you put these shoes on or the first time on your wedding day you'll probably walk with your knees flexed, you might even have to stick your bottom out in order to keep your balance. Step 2: Ignore the length of your hem relative to the surface on which you are walking. If your hem is dragging on the ground in front of your feet it is so easy to trip up or to have to keep kicking it out of the way, so you'll look like you are staggering. It is also very easy to trip. It is really important that you not only have the length of your dress adjusted while wearing the shoes you will be wearing on the day, but also that you make allowances for the type of surface you will be walking on. Walking on a hard surface is not a problem. Carpet or aisle runner laid on a hard surface causes no issues because each step is taken at the same level as the next step. Walking on a carpet or aisle runner laid over grass is an entirely different proposition because grass is spongy, and depending on the type of grass and how soft the ground is your foot will sink below the level of the carpet around to a lesser or greater degree with each step. This means you will have to kick your dress out of the way with every step, or adopt some other weird means of coping with all that fabric impeding every step. 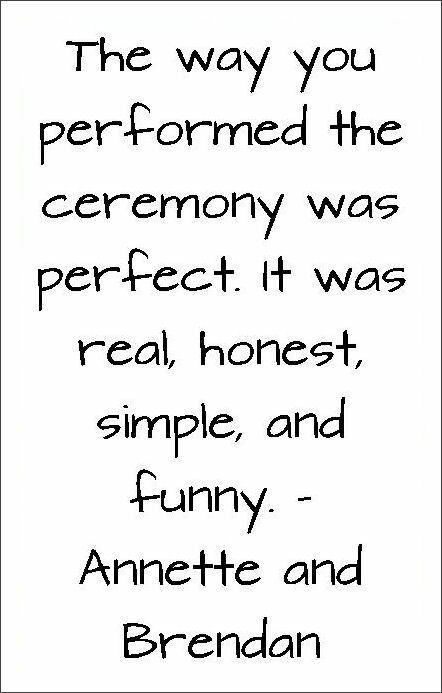 I'm still laughing at a YouTube video I saw recently where the bride and her father walked normally on the path up to the grass, but when they stepped onto the aisle runner laid on grass, they both started bringing their knees up at every step like clowns practicing marching. Step 3: (The Biggie) - forget about walking normally, use the stop-start motion of the stagger step (aka the hesitation step). That silly gait where people, thinking they need to walk "ceremonially" take one step, bring the other foot up and stop and then do the same on the other foot. Start, stop, start, stop, all down the aisle. It can take forever, it is excruciating to look at, and it makes it so very easy to overbalance.